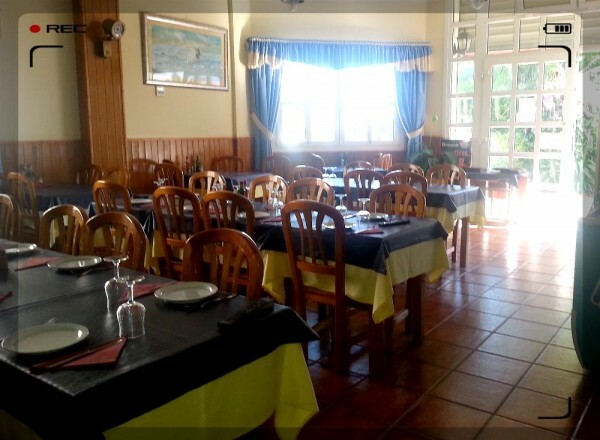 The Mama Gata Restaurant is a well known restaurant in Castillo del Romeral. 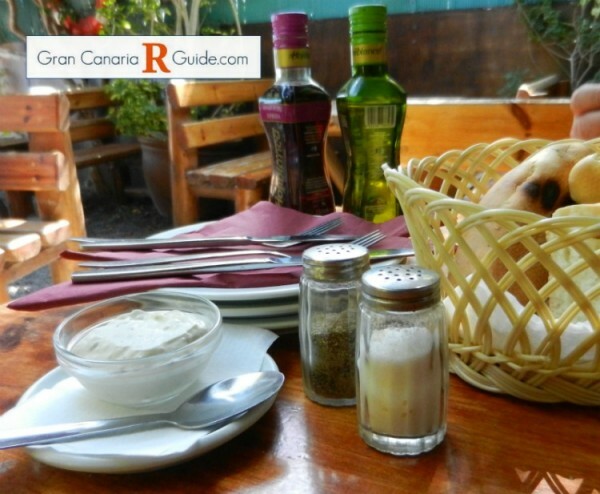 People from all over Gran Canaria come to have authentic Canarian Tapas, fresh fish and meat here. 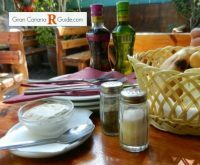 Mama Gata is our favourite fish restaurant in Castillo Del Romeral, actually, it is one of the best fish restaurants we know in the south of Gran Canaria. And on top we would like to say that in comparison with others they have reasonable prices. So definitely five points in the value for money – category. 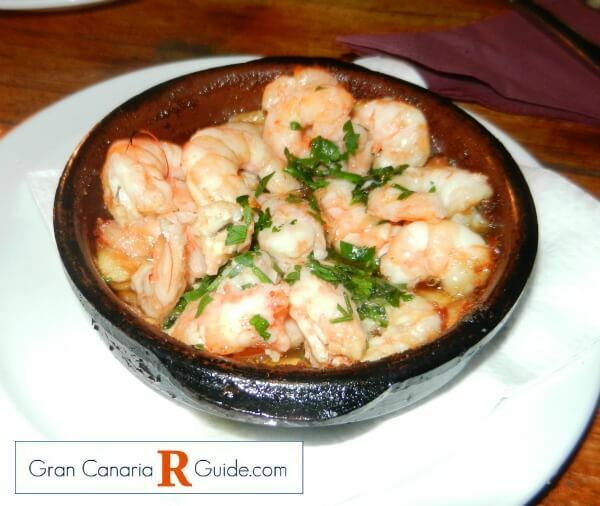 You will never be disappointed there if you stick to fish and Canarian tapas. Nene is the owner and head chef of the restaurant. Heavenly fresh fish and delicious Canarian tapas are his specialties. His Gambas al Ajillo have the right size, colour and amount and the Alioli has the perfect blend of spices. 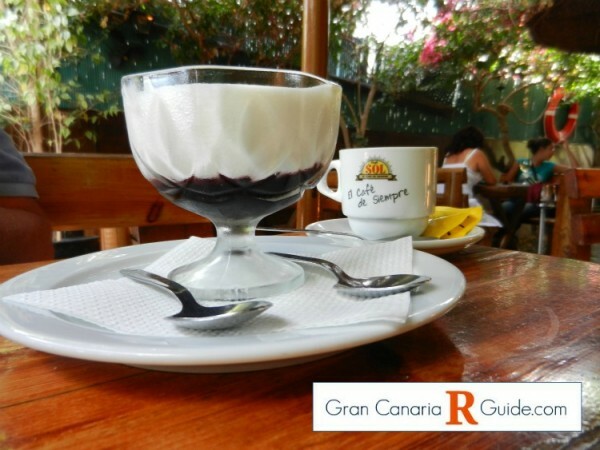 Both can easily set the standard for what they are supposed to look and taste like in any Canarian Restaurant. I love to eat Mama Gata’s exquisite Pescado a la Espalda. Depending on the season and what type of fish the fishermen of the village had caught that day, you can pick and choose the fish yourself. 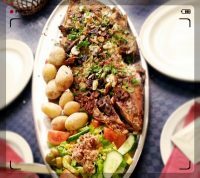 If you are a fish lover like me, this will make your mouth water. This dish is meant for two people, but it is probably enough for three. 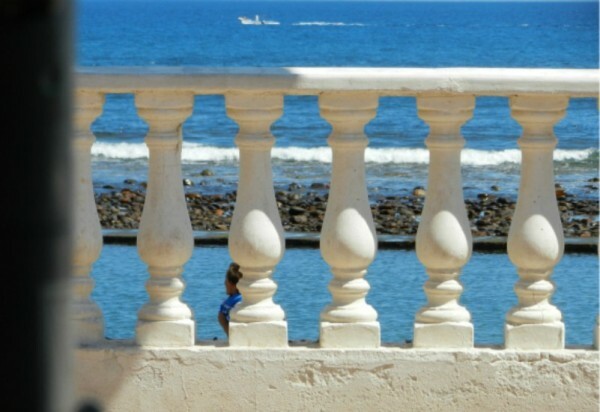 The terrace is on the mere beach walk of the village – virtually a stone throw from the ocean. 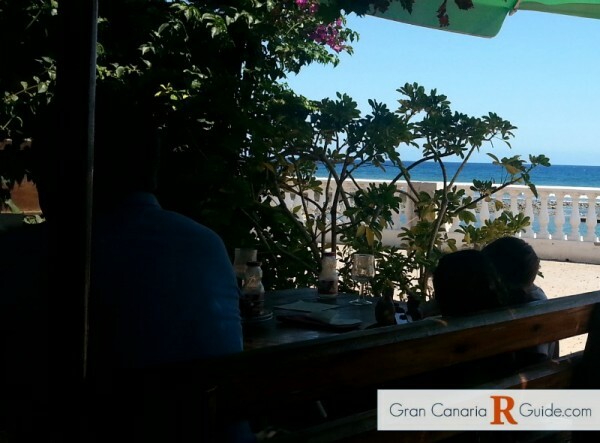 You have a great view of the ocean and the sky from the tables closest to the beach walk. 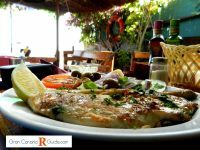 While you listen to the sound of the waves breaking on the coast you can eat the fish which has been caught by local fisher men the very same day in the sea you are looking at. The tables, chairs and benches are made of wood and give the terrace a very cosy feel. You will not to be able to sit on them for hours and hours, though. Besides being an excellent chef, Nene has also green fingers. 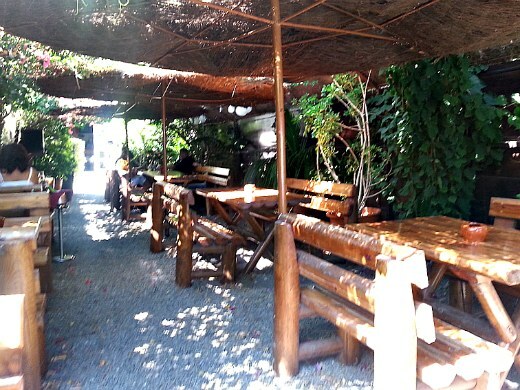 Since he has taken the restaurant over in 2004 he has created a lush garden feel on the terrace. During the singing heat waves in the summer the terrace with its deep shade and the cool sea breeze makes it a pure pleasure to sit and cool down. In the winter months, especially in the evenings it is advisable to take a jacket along. Sometimes we even bring a blanket to sit on in the winter, as the wooden benches outside can get really cold. Our kids like to go there very much, too. They can bring their bikes, skates or similar along and ride them on the beach walk. We can see them most of the time and we know they are safe. 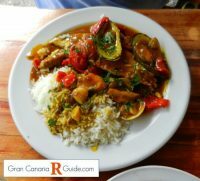 And of course they have their treat of Escalope Empanado with rice. 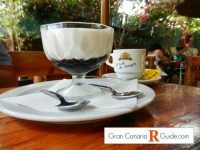 As long as your children know to stay on the beach walk, you will be able to relax and enjoy your dinner. Older children can even have a dip in the natural pools.